Logans Ferry Presbyterian Church » Welcome to Logans Ferry Presbyterian Church! Welcome to Logan’s Ferry Presbyterian Church. 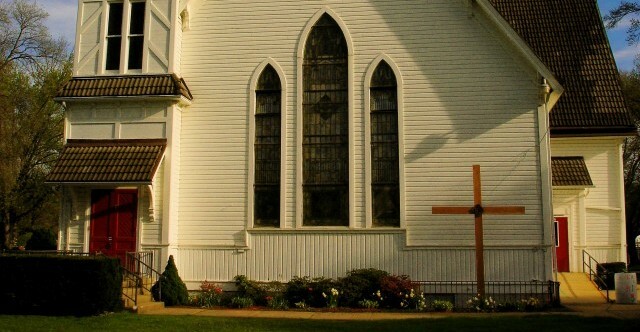 Located in the Allegheny River valley, just blocks from the river, our church building speaks to the long and rich history of our surrounding area. Do you have an interest in early American history? Our church has historical links to Fort Pitt and Fort Crawford. How about the Civil War? We had a pastor who left the church building to lead the troops first toward Gettysburg and then, with a change in orders, into Ohio. Do you remember when Alcoa was the name in aluminium? New Kensington was the headquarters and our church served as the place of worship for both labor and management. Who are we today? We are a community-minded church whose building hosts multiple community development organizations and ministries. We invite you to explore this site and as questions arise, do not hesitate to email us with comments and questions. On behalf of the entire Logan’s Ferry church family – Blessings & Peace!